Related: Why was Hebrews included in the canon? Why did significant reformers (e.g., John Calvin, John Knox, Ulrich Zwingli) generally include Hebrews in the canon? Did they still believe that Paul wrote the book, and thus include it on the basis of apostolic authorship? Or did they accept it based on other factors, like the testimony of the early church, perhaps because Pauline authorship had already begun to be doubted? Its acceptance by the early church. This is why he feels the need to point out (and then explain away) that the Latin churches were slow to accept it. Calvin states that they were concerned Hebrews might support the Novatian heresy (the refusal to allow forgiveness to those who had once abandoned the faith in the persecution of the emperor Decius). He then undertakes to explain in the commentary why such fears were groundless. Not only various opinions were formerly entertained as to the author of this Epistle, but it was only at a late period that it was received by the Latin Churches. They suspected that it favored Novatus in denying pardon to the fallen; but that this was a groundless opinion will be shown by various passages. Its content, which has value and is consistent with the themes of the rest of the gospel. There is, indeed, no book in the Holy Scriptures which speaks so clearly of the priesthood of Christ, so highly exalts the virtue and dignity of that only true sacrifice which he offered by his death, so abundantly treats of the use of ceremonies as well as of their abrogation, and, in a word, so fully explains that Christ is the end of the Law. Let us not therefore suffer the Church of God nor ourselves to be deprived of so great a benefit, but firmly defend the possession of it. Its authorship. For Calvin this is a secondary basis. ("We need not be very solicitous.") Calvin discusses the historical views on this but himself rejects Paul on grounds of both content and style. Not only various opinions were formerly entertained as to the author of this Epistle, but it was only at a late period that it was received by the Latin Churches. They suspected that it favored Novatus in denying pardon to the fallen; but that this was a groundless opinion will be shown by various passages. I, indeed, without hesitation, class it among apostolical writings; nor do I doubt but that it has been through the craft of Satan that any have been led to dispute its authority. There is, indeed, no book in the Holy Scriptures which speaks so clearly of the priesthood of Christ, so highly exalts the virtue and dignity of that only true sacrifice which he offered by his death, so abundantly treats of the use of ceremonies as well as of their abrogation, and, in a word, so fully explains that Christ is the end of the Law. Let us not therefore suffer the Church of God nor ourselves to be deprived of so great a benefit, but firmly defend the possession of it. Moreover, as to its author, we need not be very solicitous. Some think the author to have been Paul, others Luke, others Barnabas, and others Clement, as Jerome relates; yet Eusebius, in his sixth book of his Church History, mentions only Luke and Clement. I well know that in the time of Chrysostom it was everywhere classed by the Greeks among the Pauline Epistles; but the Latins thought otherwise, even those who were nearest to the times of the Apostles. I indeed, can adduce no reason to show that Paul was its author; for they who say that he designedly suppressed his name because it was hateful to the Jews, bring nothing to the purpose; for why, then, did he mention the name of Timothy as by this he betrayed himself. But the manner it of teaching, and the style, sufficiently show that Paul was not the author; and the writer himself confesses in the second chapter that he was one of the disciples of the Apostles, which is wholly different from the way in which Paul spoke of himself. Besides, what is said of the practice of catechizing in the sixth chapter, does not well suit the time or age of Paul. There are other things which we shall notice in their proper places. What excuse is usually made as to the style I well know that is, that no opinion can be hence formed, because the Greek is a translation made from the Hebrew by Luke or someone else. But this conjecture can be easily refuted: to pass by other places quoted from Scripture, on the supposition that the Epistle was written in Hebrew, there would have been no allusion to the word Testament, on which the writer so much dwells; what he says of a Testament, in the ninth chapter, could not have been drawn from any other fountain than from the Greek word; for διαθήκη has two meanings in Greek, while |berit| in Hebrew means only a covenant. This reason alone is enough to convince men of sound judgment that the epistle was written in the Greek languages. Now, what is objected on the other hand, that it is more probable that the Apostle wrote to the Jews in their own language, has no weight in it; for how few then understood their ancient language? Each had learned the language of the country where he dwelt. Besides, the Greek was then more widely known than all other languages. Not the answer you're looking for? 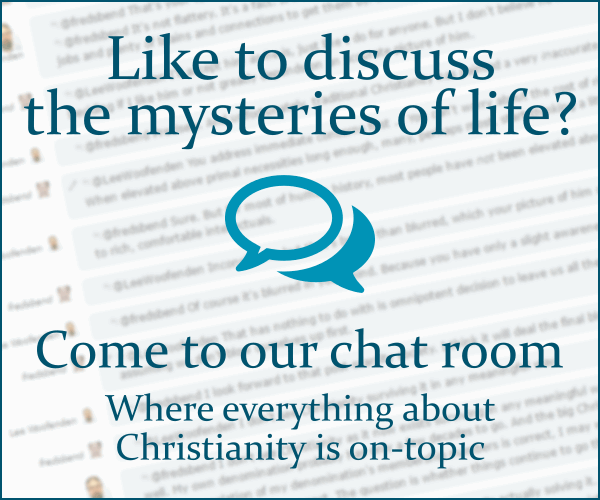 Browse other questions tagged protestantism canon reformation hebrews protestant-bible or ask your own question. Why was Ezra included in the canon? Who wrote the book of Hebrews and is the book complete?